With all the girl booties and mary janes I’ve been working on lately, I needed to figure out something for the little boys to enjoy as well. Etsy never lets me down especially with inexpensive and easy to follow baby patterns. Weepereas has a $5 pattern with sizes up to 18 months. 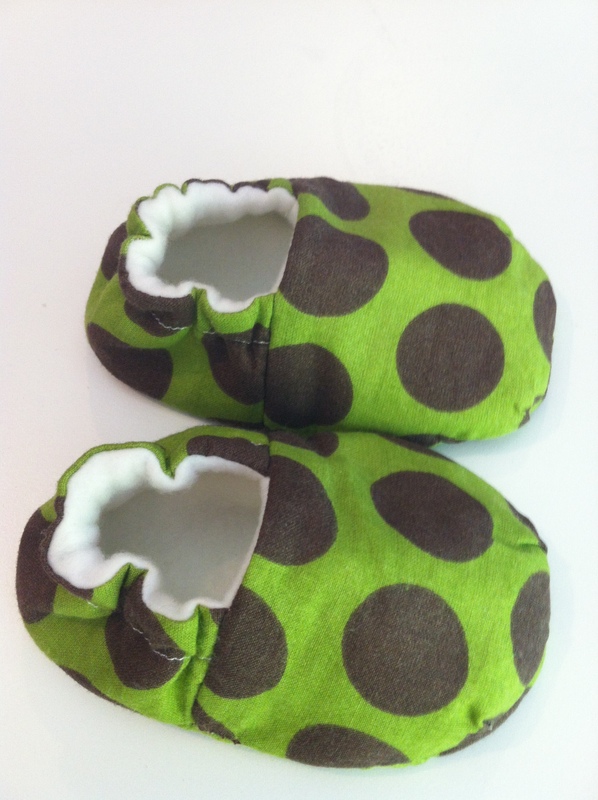 These boy shoes proved to be a lot easier to make than the mary janes, but require more creative fabric choices. I chose the green and brown cotton for the exterior and fully lined the inside with fleece. The seems are all hidden for baby’s comfort. I can’t wait to find a little model to fit these on!